Maybe because Céline was born in early winter, she loves snow, the smell and crackling of burning wood in the fireplace. But most of all she loves to read, wrapped up in a warm blanket and drinking hot chocolate with honey. When she is not reading, I often find her pressing her nose to a tall window and dreaming. Céline is about 17” tall and is made with Swiss jersey and stuffed firmly with eco-wool. Her face is needle-sculpted, her face features - embroidered, and her hair - made with beautiful Camel weft, crocheted into the mohair wig. She will come wearing a beautiful silk blouse decorated with tiny sequins and fine Mokuba cotton lace, a wide corduroy skirt, a lined cashmere jacket with a belt, a pair of cotton underpants, and cashmere shoes with leather straps and small coconut buttons. 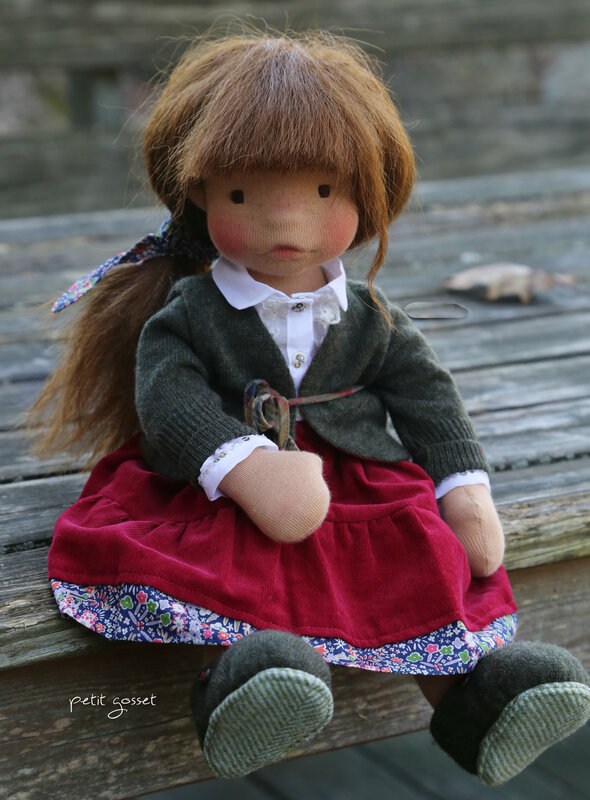 Céline will be waiting for her mama through Dollectable tonight, December 1st, at 7 pm EST. 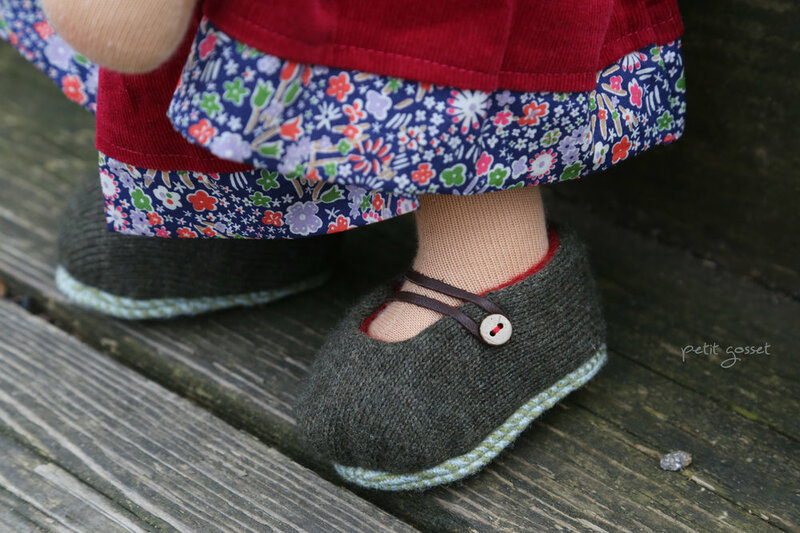 Céline is not recommended as a toy due to many little parts of her wardrobe and will be a wonderful companion to an older child or a grown up who’s a child at heart. This lovely Holiday set will be offered separately. 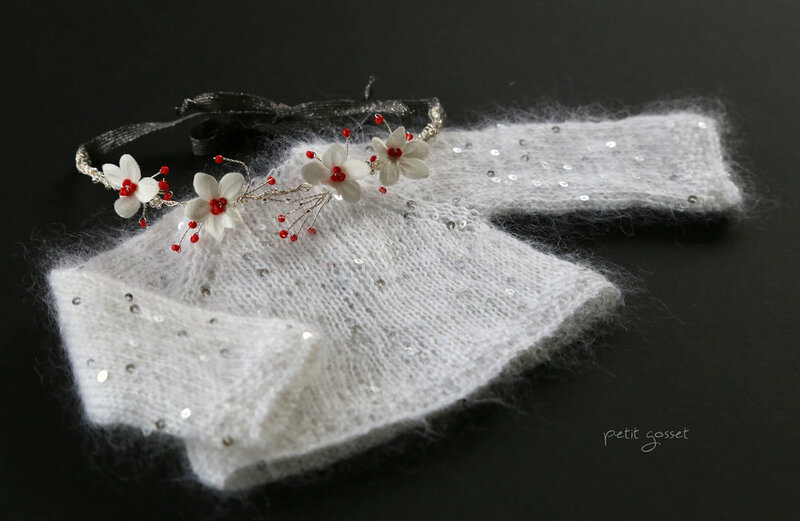 It is made to fit a 16-18" doll and consists of a white sweater, hand-knitted with gorgeous mohair/silk yarn with sequins, a red pleated skirt, made with silk organza and cotton, and a precious little crown, made with sterling silver wire, tiny beads and fabric flowers. The sweater features a heart-shaped button in the back. (Please note that Santa Claus is not included in the listing).